You are currently browsing the Archaeofacts.com archives of Musings for the day Tuesday, January 20th, 2009. He wore a flag pin. Today we saw the transfer of leadership power, with all the pomp required to publically demonstrate conferred legitimacy. 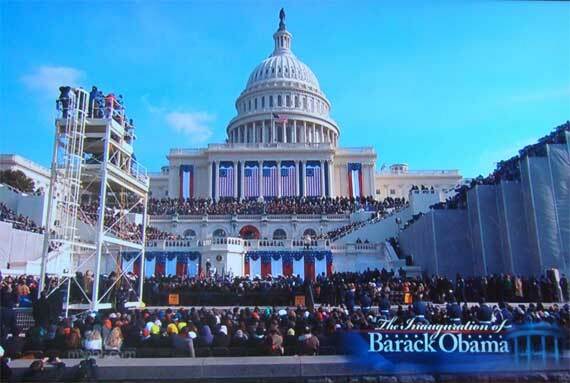 Here’re some photos direct from our TV screen, that start after the swearing-in, during our new President’s first speech….